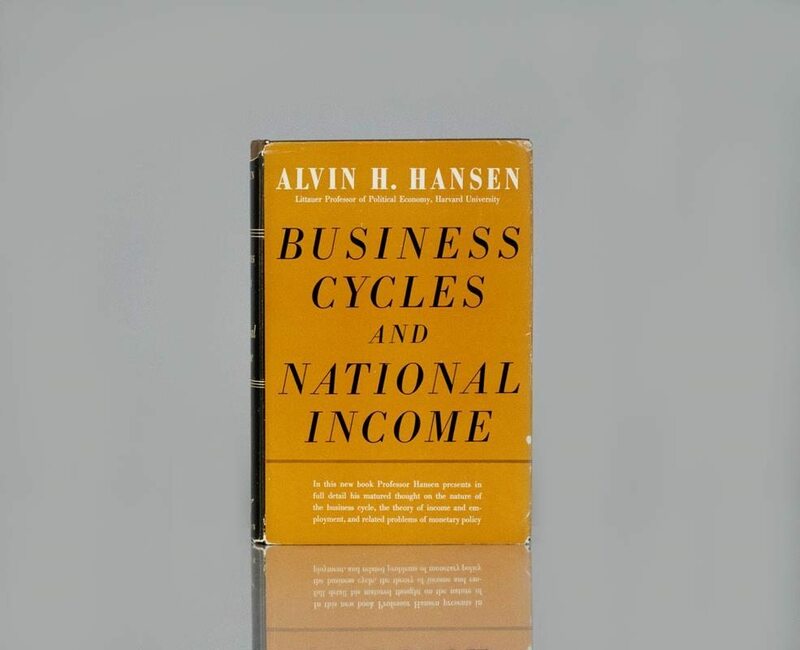 Hansen, often referred to as the American Keynes, wrote this work during the World War II against the background of the economic and political futility of the 1930s, it deals with the changing role of government, and particularly fiscal policy as an instrument for regulating the national income and its distribution. Fiscal Policy and Business Cycles. New York: W.W. Norton & Company, Inc, 1941. First edition of this work by the “American Keynes.” Octavo, original cloth. Near fine in a good price-clipped dust jacket with chipping and wear. Uncommon in the original dust jacket.